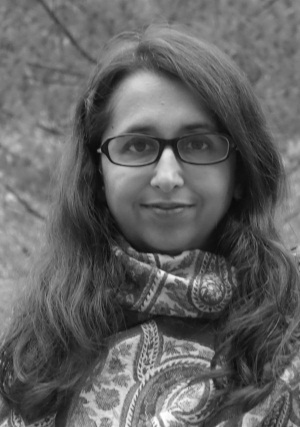 Shahbano Bilgrami, whose book Without Dreams was longlisted for the Man Asian Prize in 2007, and who has penned children’s books, marked a new milestone in fiction for adults – a successful foray at that, having earned her a prestigious nomination for the DSC Prize for South Asian Literature 2017 – with her novel, Those Children. As the title suggests, she hasn’t abandoned her storytelling lens entirely – from writing for children, she moves to writing as children. Or rather, as one child in particular. She is Ferzana, she is about 10, and she is our narrative voice – through her, we learn of a family’s secrets, view death, see passion, and understand pain, sorrow and pleasure. It is to Shahbano’s absolute credit that we are also, throughout, with her – a rare feat in the relationship between reader and narrator in any genre; and for a writer, a coveted masterstroke. Shahbano is also a proud Desi Writer, part of our ever-growing breed and the Reportage Editor of the Desi Writers’ Lounge bi-annual magazine, Papercuts. Pooja Pande (PP): If you were to identify a point of origin for Those Children, what would it be? When you thought all this “material”, so to speak, could actually be a story – a novel? Shahbano Bilgrami (SB): This book has taken an incredibly long time to write – too long! I remember one of my old editors saying that I was writing at a ‘pace that was baffling to an editor’ because my progress was so slow. It took almost seven years from start to finish. I began writing the prologue and first chapter in early 2008, shortly after my first book, Without Dreams, had come out. At the time, I only had a rough idea of what I wanted to say, and the main thrust of the storyline was, of course, children losing their mother to cancer and returning to Pakistan, adjusting to life there, and escaping into a fantasy world to deal with their grief. The rest of the story came together over the years. This book has taken an incredibly long time to write – too long! I remember one of my old editors saying that I was writing at a ‘pace that was baffling to an editor’ because my progress was so slow. The strange thing is that I didn’t have a plan when I started out. While scary at first, towards the second half of the book it was really exciting when things fell into place naturally and connections were made without my having to wrestle with the characters and the plot. So the initial story really evolved into a novel over the years as I pieced it together bit by bit as and when my schedule allowed. Those who know me will also say that there is an autobiographical element to the story and that the basic premise is very close to what my sisters and I went through when we were growing up. While there is some truth to that, I can’t emphasize strongly enough that the characters and events in the story are entirely fictitious! PP: Which of the characters was the easiest to form and flesh out? Which was the most difficult? Also, who was the most difficult to let go of, once the process was over? And were there some you were only too glad you were no longer “living with”? SB: Those Children is a story about growing up and, while I was writing it, I was raising two little girls. This presented challenges, of course, but was also the inspiration, in many respects, for the character of Ferzana, who started off, in the original draft, as a seven-year-old. I drew on my daughters as well as my youngest sister, Alia, for her character. Personally, I’ve always enjoyed reading novels from a child’s perspective because their innocence brings into sharp relief the absurdities of the adult world. In this case, it was quite fun seeing things we take for granted in politics, religion, or patriotism, for example, from the point of view of a child encountering them for the very first time. I think Ferzana’s perspective and her observations on Pakistani life were the easiest to write because her voice was always in my head. The real challenge lay in making those observations realistic given that they were sometimes beyond what a normal seven-year-old would think. Personally, I’ve always enjoyed reading novels from a child’s perspective because their innocence brings into sharp relief the absurdities of the adult world. I think the toughest characters to flesh out were the traditional ones, like Dada and Dadi or the Jamshaid family. I wanted to show, particularly in the Jamshaids, that while their religiosity set them apart from their more liberal family members, they could still be relatable and empathetic. I had to make a conscious effort to avoid the stereotypes – on either side of the divide. In the end, Ferzana learns that extremes in religious thinking can be nuanced and that we can still love people and call them family even though their beliefs are very different from our own. And while I think I’m more on the ‘liberal’ side of the spectrum, I can appreciate tradition and respect for family values, too, so the characters of Dada and Dadi are there as a constant reminder of the past and continuity. To be honest, I was really relieved to be rid of all of the characters in this book once I had written it and it was with my publisher. Of course there were moments when I enjoyed writing it, but the fact was that the book had taken so long to write and there were so many breaks in between that it had become quite burdensome in the end! PP: Did you feel the burden of being a “diaspora writer”, while conceptualizing the novel, or during the writing of it? Feel the responsibilities of representation – of experience, of people. Do you feel the desi publishing world is somewhere getting over this hang-up of sorts? SB: I don’t think so. I was really interested in telling this story, so these other issues were not important to me while I was writing. I had my fears, of course, of what would happen afterwards and was quite ready to be crucified or skewered (literally, these words came to mind!) once it was published. The story is very close to my experience as a person who has spent an almost equal time in Pakistan and North America. I realize this is not everyone’s experience, but it is one authentic experience among many. When you have lived in between two cultures, it is difficult to find a place for yourself; you’re not ‘desi’ enough for some people, and you’re ‘too foreign’ for others. I think the real challenge comes when you are trying to write from this perspective and are looking for agents and publishers. The American publishing industry is opening up to the idea of diversity but I haven’t found them easy to penetrate. I also feel that this dual perspective is harder to sell, and can perhaps only really find a market in South Asia. Having said that, I’ve had some of my American friends tell me that they enjoyed the book and could relate to the characters, so I’m not sure what the right answer is. I really hope the desi publishing world is getting over this hang up. I know many Indian and Pakistani reviewers feel that desis writing abroad are unable to capture the South Asian experience. I’m so happy that with Those Children I was able to circumvent the whole issue. As the book is about American children rediscovering their roots, it was okay – in this instance – for Pakistan to appear ‘foreign’! PP: And connected to the previous question – I was part of a conversation recently about how brown people are expected to write about brown problems, so to speak – that the audience is not looking to them to write about white people or white experiences, or white problems. I’d be very curious to hear your take on this, and especially in the context of this novel: Did you ever think of including more white characters? Perhaps bring in the children’s social circles while in Chicago? SB: That is a really interesting question. I think the book would have benefited from it, but my focus was on children returning to their homeland rather than the other way around. Initially, I had thought of giving a relatively minor character, Clarice (Raza’s American girlfriend), a more pivotal role, but the way the story flowed, there was no room for her in the end. I thought it would be funny for this very American character – with no cultural hang-ups – to suddenly show up in the midst of Karachi in her shorts and tank top and wreak havoc on the conservative Mahmuds. Perhaps the topic of another book…! Someone once asked me why I don’t write about America, seeing as I live here, and that really struck a chord with me. The book I’m working on now is set in the US, and I’m hoping that I will have more American characters in it. However, the central character is still Pakistani, so I think that this cultural element will always be a part of whatever I write. I think to be a good writer you have to be empathetic; race, religion, skin tone shouldn’t matter. However, for me, personally, I think I write better when I’m writing about what I know, and what I know best is this strange in-between-state that I was born into. Also, in this day and age, I think there are shades of brown and shades of white – life is so much more complicated as we negotiate new social territory within our own families with the ‘loss’ (to quote Dada in Those Children) of traditional notions of ‘pedigree’ and lineage. Interestingly, this is not a brown problem. I see it here, too, with the modern American family facing its own set of challenges. PP: One of the (many) strengths of Those Children is its narrative voice, the lens – we see the world and everything and everyone in it from within the immersive child-like view, and yet because this is, we imagine, a grownup Ferzana looking back, there is also a distance. Could you please elaborate on how you chose this voice, and why? Did you experiment with any other voices? SB: I didn’t experiment with any other voices and only thought – once the deed was done – that perhaps this would have been a more effective story if I had told it in the third person. By that time it was too late and too much of the story hinged on the partial understanding of a young child. However, because some of the irony and humour in the book are a direct result of the first person perspective, I think it is a happier story because of it. The topic – the loss of a parent to cancer – is a dark enough subject as it is, so I am glad that Ferzana’s perspective on that and other serious issues – politics, religious intolerance, etc – helps to lighten the mood of the story. While Ferzana’s voice came naturally to me, it was more difficult for others – agents and publishers – to accept that her observations were that of a seven-year-old. During the second and subsequent drafts, I changed Ferzana’s age to ten and also made it known that she was an avid reader, wise beyond her years, and maturer than her peers because she had experienced loss. It was then, too, that I added the framework of Ferzana as an adult looking back. PP: What is your writing process like? Do you have a discipline/routine in place? How many drafts did you go through and who was your first reader/editor? SB: I’d love to say I have a process but the fact is that it’s really been just a haphazard scramble for snatched moments of calm while the children were at school in the mornings or napping in the afternoons! I did make sure that I tried to write a little every day, even if it was only a line or two, and I also thought about the characters and storyline while I was doing other things. My view of the first draft is to just keep writing – get something down – because, being an editor by profession, the urge for improvement sometimes prevents me from moving forward. I think about 70 percent of Those Children is very close to what I produced in the first draft although there were several drafts after that where Ferzana’s age was changed, I added the adult perspective/framework, and certain chapters were moved around. A number of people read the first draft, including my husband, several agents, including my own, a few editors at smaller US presses, and my final editors, of course. I am very surprised and, of course, ecstatic to be on the (DSC Prize) longlist…. I’m also happy that there are two other Pakistanis (Omar Shahid Hamid, Sarvat Hasin) with me. PP: How has the response been like thus far? Do you have a favourite review/opinion yet? Something that surprised you? SB: I was petrified of the reviews. I remember being happy when there were delays in the book’s publication because I dreaded what would be said. My first experience with Without Dreams was terrible, so I was expecting more of the same. I’ve reviewed fiction for many years so I know that criticism is a part of the game, but mean or hurtful comments can really affect a person’s self-confidence. (Writing is very much a mood-related activity for me!) I feared the worst. Because my expectations were so low, I was thrilled when, overall, the reviews that came out were mostly positive. I was surprised – and grateful, too – that the story made sense to people and that I had somehow managed to convey what I had intended. My favourite review is Monideepa Sahu’s ‘As the Kids See It’ in the Deccan Herald. PP: How does it feel to be on the longlist for the prestigious DSC Prize for South Asian Literature? Are you familiar/Have you read the other works on the list? And if yes, then do share thoughts on them. Also, do you feel this prize has a legacy, especially given earlier nominees and winners? SB: I am very surprised and, of course, ecstatic to be on the longlist. I am familiar with a number of the authors on the list and have read their earlier works – Omar Shahid Hamid, Aravind Adiga, for example. I’m also happy that there are two other Pakistanis with me. I’ve heard that writers like Jhumpa Lahiri have won in the past, so it is truly an honour just to be longlisted with all of these amazing people. I look forward to reading the novels on the longlist and getting acquainted with the writings of authors whom I don’t know. Order your copy of Those Children (HarperCollins India, 2017) here. Pooja Pande is the Lead Reportage Editor of Papercuts magazine. 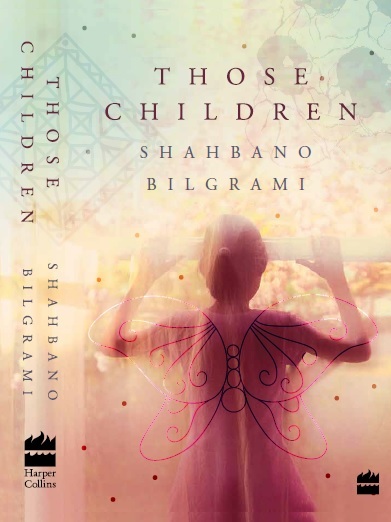 This entry was posted in Interviews, South Asian Writing and tagged fiction, Shahbano Bilgrami, south asian writing, Those Children. Bookmark the permalink.